MasterCard and Samsung Electronics Co., Ltd today announced they are extending their global partnership leveraging the MasterCard Digital Enablement Service (MDES) to deliver Samsung Pay in Europe. Samsung Pay is a mobile payment service that will enable consumers to use their Samsung flagship mobile devices to make every day in-store purchases at contactless and magnetic stripe terminals leveraging NFC and MST technologies. 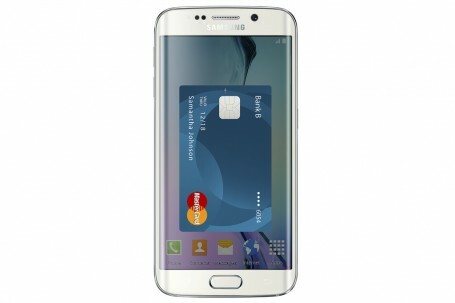 European card issuers will be able to connect to the MDES platform and activate the Samsung Pay service upon launch. Cardholders can activate their credit, debit, reloadable prepaid and small business cards from participating issuers in the Samsung Pay service and use their mobile devices to make everyday purchases. Earlier this year, MasterCard announced it would provide the tokenization services to Samsung Pay for its secure transactions, enabling a quick scaling connection to bank partners in the U.S.
“With the continued global growth and reliance on connected mobile devices, we are delighted to expand our relationship with Samsung by extending the reach of Samsung Pay and MDES to cardholders in Europe. Europeans have been leading the way in the adoption of new ways to shop, buy and make a payment. Through our strong partnership with Samsung we look forward to continuing to drive innovation in mobile commerce by creating simple and secure digital payment experiences for consumers,” said Javier Perez, President of MasterCard Europe. Samsung Pay is scheduled to launch in the U.S. and South Korea later this summer and Samsung is currently working with banks and partners to bring the payment service to Europe. Since the announcement of MDES in 2013, millions of MasterCard accounts have been tokenized for use in popular digital wallet services. MDES currently provides tokenization services for credit, debit, co-brand, prepaid and small business cards. Private label tokenization, announced in June, will begin in the third quarter of this year. Tokenization services for app, eCommerce, and recurring billing card-on-file programs will be available to U.S. and Canadian merchants later this year and expand globally across all MDES-enabled markets.